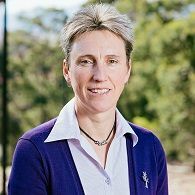 Jillian Downing is a lecturer in the Faculty of Education at the University of Tasmania and has developed range of courses on the scholarship and practice of applied learning in teacher-education. In 2015 Jillian received an Australian award for University teaching from the Office for Learning and Teaching (OLT). Her citation recognised her leadership in the development of innovative VET teacher-education programs using applied learning design in online environments. This national award followed a University of Tasmania Vice-Chancellor's citation for Outstanding Contribution to Student Learning in 2014. Jillian's research focuses on pedagogical design in online learning environments, particularly for non-traditional learners. Her PhD used design-based research to evaluate the student experience in an online undergraduate degree, with particular interest in the effectiveness of specific design principles that aimed to ensure an applied, authentic learning environment. Jillian's professional experience is largely situated within adult and vocational education as well as human resource management and development in the Australasian region. Before joining the University of Tasmania, Jillian was based in Singapore, working throughout the Asian region as a training and management consultant for major international corporations such as Microsoft, Michelin and Dow Corning as well as corporate universities including Prudential University, based in Hong Kong. Much of her work with these large corporations focussed on achieving ambitious staff development aspirations and ensuring that the workforce was agile and capable in an era of rapid and constant change. Her corporate background provided a strong foundation for moving into teaching and research in adult learning and education at the University. Jillian's professional and academic career reflects her belief that industry and educational providers need to work closely together in order to develop the type of graduates who are ready and able to contribute meaningfully to their chosen disciplines. Additionally, Jillian recognises the potential for the online learning environment to meet the needs of students who are combining work with study, and need an applied, authentic approach to their continuing education. Jillian has managed significant professional development projects for multi-national companies operating in the Asian region. She is an active member of several Faculty and University committees. Jillian has been responsible for the design, development, accreditation and delivery of a number of undergraduate and post-graduate courses, all focussed on adult, applied and vocational education. She has received numerous Faculty and University awards for the quality of her teaching. Jillian is an experienced designer and developer of online learning environments, with a particular interest in ensuring an applied, authentic approach to online pedagogy and an engaging environment for students. Jill's research aligns with the University's research theme of Creativity, Culture and Society. Her research interests extend over three related areas: authentic, applied online learning design, the needs of students considered 'non-traditional' at university, and the perceptions and needs of academics as they transition from teaching face-to-face to teaching online. Jillian has been a strong proponent of quality online learning and teaching, recognising that a growing number of students will be combining work and study and need to access their education in a fully online environment. Her PhD investigated an alternative approach to online learning design, aiming to achieve an authentic, applied experience for students in a teacher-education course. Her findings suggested that it is possible to create an effective, engaging environment for students in an online environment through well designed activities that connect theory and practice in real-world contexts. Additionally, such an approach has the potential to more effectively facilitate the development of the desired graduate attributes and threshold learning outcomes. Jillian's research has also investigated the characteristics and needs of students considered 'non-traditional', such as mature-aged students who are combining study with family and work duties, and studying in an online mode of delivery. Her findings suggest that these students respond well to an environment that recognises and responds to their desire for increased flexibility and connection with other aspects of their life. This has implications for the professional development needs of academics and the pedagogical approach in units, but has the potential to make university study more relevant and authentic to the needs of students and industry. Jillian is also interested in the researching the support that academics need as they transition into teaching in the online environment, particularly in fields that are traditionally approached through on-campus study. Many academics report feeling dissatisfied or fearful of teaching in the online environment, but with appropriate support and professional development, deep engagement and satisfaction is possible for both students and teaching staff. Her findings highlight the importance of at-elbow support at critical times, and strategies that encourage student-to-student and student-to-teacher interactions and critical reflection. Jillian is currently involved in several collaborative University of Tasmania research projects, focussing on the potential for ePortfolios in education, as well as a software tool to help map unit and course learning outcomes against graduate attributes and the requirements for professional accreditation. Jillian is currently completing her PhD research, focussing on design principles for applied learning within fully online teacher-education programs. Her doctoral research is being supervised by Professor Jan Herrington (Murdoch University). Jillian's publications focus on the online learning and teaching environment within higher education. She is particularly interested in pedagogical design, and the ways in which the learning environment can offer a more applied and authentic experience for students. She is also interested in the characteristics and needs of students considered 'non-traditional' and in particular has investigated the experience of adult students with autism who are engaged in higher education study. Jillian's other publications focus on the perceptions and attitudes of academics as they transition into teaching in the online environment in higher education. As the growth in online higher education continues at UTAS and beyond, there are a number of important and timely questions about the ways online students engage with learning that have profound relevance to our College. This Hothouse application builds on existing research in the School of Education (SOE) that explores the learning experiences of online initial teacher education students. A systematic literature search (of 457 A1 articles) revealed that the majority of research on student experiences of online learning examines their experiences of a single technology (e.g., webconference/ facebook/ digital gaming) and is often captured at a single time point (e.g., end of semester via interview or exit survey). This review has revealed important gaps in the research literature, namely a need to: 1) interpret student experience more holistically across multiple units of study and 2) capture student voice over time.This Hothouse project will: collect online student-generated data (the Student View) collected periodically throughout semester; identify how, when, and why students engage with online learning in their units; compare engagement among units; and analyse patterns of engagement, for fully online units and blended delivery units.This project aligns with a number of other UTAS projects researching online higher education. The projects pioneering methodology will enable new modes of knowledge generation, increase our understanding of the student experience, improve student outcomes and retention, and support CALEs uptake of the UTAS Technology Enhanced Learning and Teaching White Paper, the UTAS Blended Learning Model and the UTAS Strategy on Open Educational Practice. For example, the project can specifically investigate whether or not our units consistently meet element 3 of the White Paper, mandating purposefully designed high impact learning experiences that enable them to achieve the learning outcomes of the unit and course. Significant changes in the Australian higher education sector, including deregulated enrolments andsubsequent unregulated growth in professional qualifying programs (e.g. Social Work, Education andAssociate Degrees), have created major challenges for universities and their industry partners. Of particularconcern is the need for, and increasing difficulty in securing, sufficient numbers of high quality professionaleducation placements and work-integrated learning opportunities (Allen & Wright, 2014).This proposed research project asks What are the advantages of using portfolios in work-integrated andprofessional qualifying university programs, for students, the University and the placement agencies, aimingto explore how student portfolios contribute to the redesign of one of the most resource-intensive aspects ofplacements (Beckers, Dolmans, & van Merrinboer, 2016): the evidence-based assessment of studentachievement of professional practice standards (e.g. https://www.aasw.asn.au/careers-study/asweas-2017-launch and https://www.aitsl.edu.au/teach/standards).UTAS new portfolio software for MyLO, and web-based documentation management system, provide anopportunity for the partners to integrate curricula with authentic field/placement study and work-integratedlearning (Degrees of Difference, 2016; Venville, Cleak & Bould, 2017).Portfolios offer a highly flexible formative and/or summative pedagogic approach (Gmiz-Snchez, Gallego-Arrufat, & Crisol-Moya, 2016), and are accessible to work-based supervisors, enabling co-design, delivery,moderated assessment of student achievement (and evaluation) of the curriculum (Mahar & Strobert, 2010;Schuwirth & van der Vleuten, 2011).The project capitalises on complementary expertise from the Discipline of Social Work (Social Sciences) andthe School of Education, with the University College, and responds to well-documented social welfare andeducational needs in the State (West, 2013).This new partnership will use a literature scoping review, surveys of students and peers/colleague supervisorsand case study approach (see timelines below) to thoroughly document the current baseline, compared withthe use of portfolios to augment learning in practice, to provide the foundation for the development of an ARCLinkage grant application.